Get Smart’s mission is to provide programs and services that mentor young women to be AUTHENTIC COMPASSIONATE LEADERS who are actively making a difference. We support educational leaders, parents, employers, and mentors in motivating and developing young women. *Get Smart is a registered 501c3 non-profit organization in the state of New Jersey. To help us reach more young people, please visit our donation page here. Part of Get Smart’s mission includes encouraging the positive use of social media as an educational and motivational tool. Our articles are resources for teens, college students, 20somethings, parents, and educators. Each week our national intern team and guest writers contribute articles to inspire and motivate young women to be self-aware, critically think about the world around them, develop leadership skills, and to contribute to society. The 21st century is a new virtual playground where your digital imprint counts. Building a positive web presence is essential in the competitive college and job market. When that admissions counselor or job recruiter googles you what do you want them to find? (hopefully not that picture from a party someone snagged of you with bad hair and your tongue sticking out…) Wherever you go in life, your online presence will get there before you do. Make it inspiring. In the summer of 2014 we launched an internship program that is the CORE of who we are. Ten young women were trained in team leadership, online content development, social media, marketing, service learning, fundraising, and developing career and leadership skills for the workplace. Our internship program is both virtual and live. Interns contributed to our site from California to West Virginia to Vermont! With virtual and in person leadership training, our organization is run by instilling the values we stand for. We are led by who we seek to inspire! As of Fall 2014 we have interns in EVERY US TIME ZONE and we are so proud of the young women who have chosen to GET SMART! We specialize in leadership training for students and faculty in grades K-12, and college students programs and trainings to your school or organizational need. 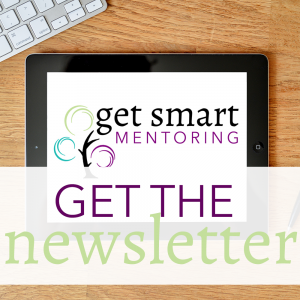 Get Smart’s founder, Stephanie Licata is an accomplished curriculum designer, speaker and coach. Having spoken to thousands of people in the past 15 years, she’s taking the Get Smart message on the road to schools, colleges, and organizations to empower young women on a variety of topics. Look for Get Smart special events and programs to come from the Get Smart community themselves! Stephanie has been a personal and professional coach since 2007 and coached hundreds of individuals to personal and professional success. Get Smart is committed to providing mentoring to communities of young people in need. We believe each and every individual is capable of accessing their highest potential. Mentoring is a powerful agent of supporting emotionally or financially impoverished young people. We seek to fill the gap by teaching leadership, self-awareness, and cultivating character and emotional intelligence. Our first program launched in October of 2013 in Jersey City mentoring 7th and 8th-grade girls for 8 weeks. A large part of the Get Smart message is the value of giving back and making a difference. 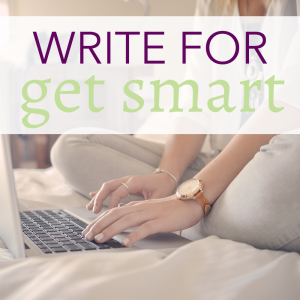 Get Smart is currently working on forming scholarship, service, and internship opportunities for women to learn, grow, and empower others around them. In addition we’ll be creating service opportunities where Get Smart girls and gals can go out and make a difference together. You become an instant leader wherever you are. Stay tuned for more opportunities to GET SMART and MAKE A DIFFERENCE!